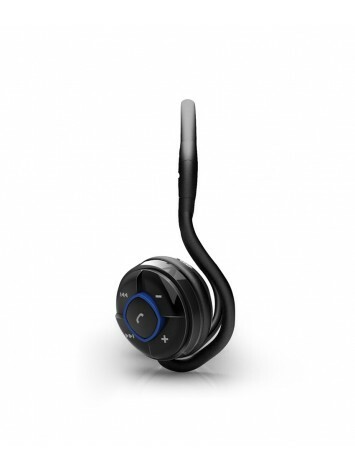 Sound Quality:- Detailed and balanced sound you can enjoy everywhere you go. Soft Cushions:- The on-ear isolating, padded cushions not only let you enjoy long lasting comfort but also help you to hear and enjoy every sonic detail of your favorite tunes. Compact & Pocketable:- This headphone do not take up a lot of space and can be easily carried in your bag & pocket . 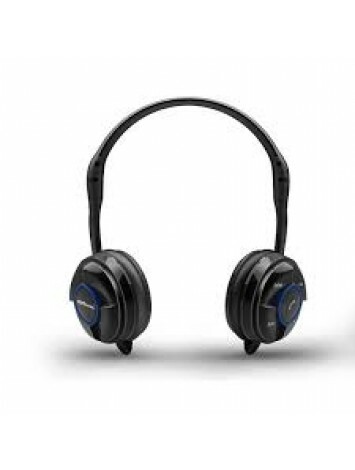 Calling Feature:- One of our most advanced wireless, Bluetooth headsets with noise canceling features and HD Voice technology for the clearest calls available on a wireless Headphone. Connect wirelessly with your favourite music with Muffs, on-ear Bluetooth Headphones. The ultra modern Bluetooth wireless capabilities of Muffs allow for lossless audio quality wherever you go, with a conveniently foldable headband for ultimate portability. Foldable design, comfortable ear cups and Portronics renowned speaker performance let you fully surround yourself in sound. A built-in rechargeable battery provides extended listening, while ear cup mounted controls and built-in mic give you complete command over your music and phone calls. Muffs covers a wide frequency range and delivers strikingly realistic sound with a 40mm driver. It is an absolute comfort to wear with the premium leather foam cups for hours of listening pleasure and superior passive noise-isolation. The foam ear cups create an acoustic seal that blocks outside noises and enhances bass. Each pivoting ear cup also folds flat for compact storage and travel. Stream your music wirelessly for up to 12 hours of continuous talk and listening time from your paired Bluetooth wireless device (such as iPhone, other mobile phones & Mp3 players). The built-in rechargeable battery charges your headset via the included micro USB charging cable. Range up to 33 feet (10 meters) and you remain connected to your music and calls. Simply switch between phone calls and music with the touch of a button. Control volume, play & pause, next & track back directly from the headphone buttons. The discreet invisible microphone offers hands-free conversations and clear phone calls. Detailed and balanced sound you can enjoy everywhere you go. Enjoy the power of your music with the first on-ear wireless headphones from Portronics. Clear, rich audio and a long-lasting rechargeable battery will keep you listening all day. Switching to an incoming call is easy with voice prompts and intuitive controls. And those calls come through loud and clear, even in windy or noisy environments. The on-ear isolating, padded cushions not only let you enjoy long lasting comfort but also help you to hear and enjoy every sonic detail of your favorite tunes. This headphone do not take up a lot of space and can be easily carried in your bag & pocket . With up to 10 hours of play time, you can listen to your favourite music, watch a movie and still have plenty of power left. Get a full charge in just 2 hours by plugging the included USB cable into any mobile device with a powered port or wall charger. 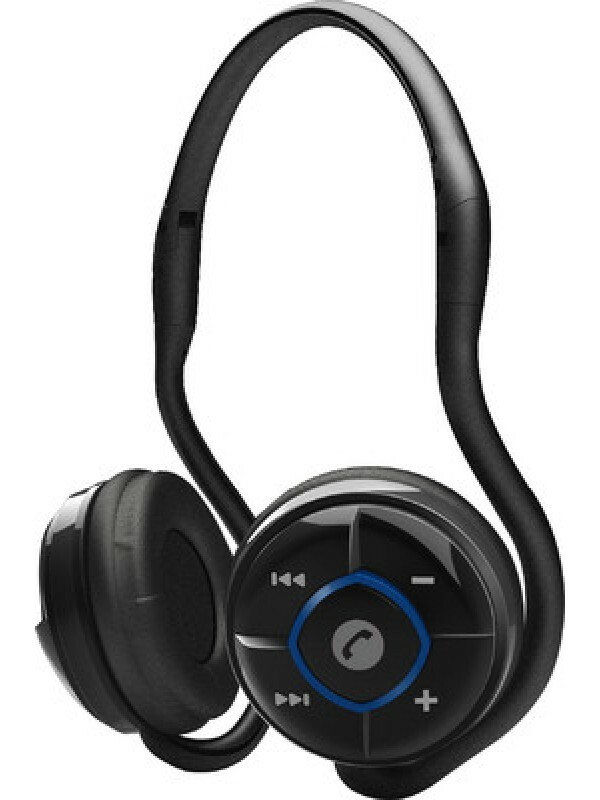 One of our most advanced wireless, Bluetooth headsets with noise canceling features and HD Voice technology for the clearest calls available on a wireless Headphone. This headphone have unique control buttons which provide you freedom to use in any condition. Muffs comes in a high quality paper packaging and it has a micro USB cable inside the packaging.